There really are no words to describe Andrea. Actually, scratch that, I take it back, I would describe her simply as Strong. I have been photographing her family of four for a couple of years and when she announced she was expecting her third, she asked me if I would come and photograph it for her. She recalled so little of her first two births as they were quick, and such a blur of emotion, she didn't want to miss a thing this time around. 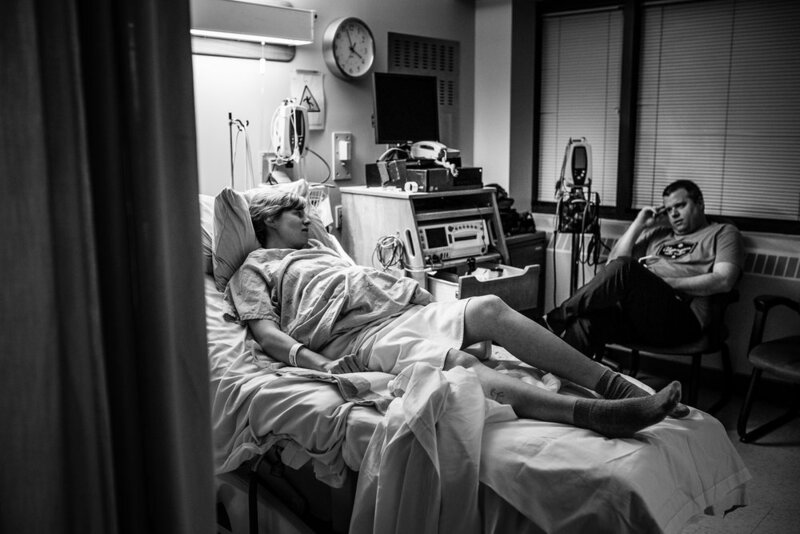 As this would likely be the last addition her her family, she wanted to remember each moment. I can't tell you how honoured I was to have been asked! The weeks leading up to this birth I was on pins and needles waiting for her call, we both didn't know what to expect since one of her previous children was a early and the other was a bit late. Were were texting back and fourth in the days leading up, with little updates, the nerves and excitement growing (for us both!) Then, it happened! I got to message we'd been waiting for just after 8 in the evening...she was headed into the hospital! It was go time! So I raced off to the hospital! Her husband TJ met me in the hall. 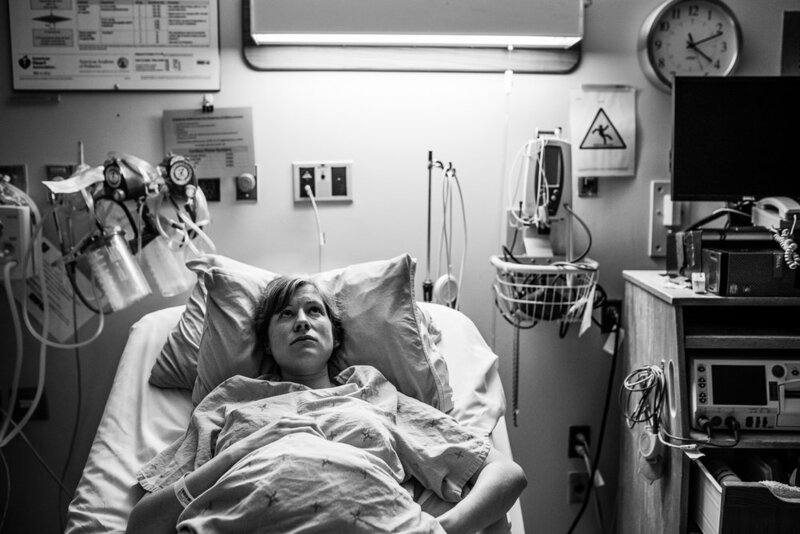 Andrea was in with the midwives being checked but it looked like they were going to send her home! Though contractions were strong, they just weren't consistent enough. I clearly remember the look of frustration and upset when Andrea came out of the room. Just in case, the three of us sat down in the hospital cafiteria and had a tea, talking it out and waiting a bit longer to see if things were going to progress. After awhile, Andrea and TJ decided it was time to head home and try and get some rest. Heading home, I set my phone at the end of the couch and laid down to try and rest, knowing that though we had hit a little bump in the road, this baby was on the way. It felt like I had closed my eyes for just a blink when I got this message at just after 3 am "Hey its TJ, we went to get checked again and the baby is essentially coming out". WHOA! Thankfully I didn't bother to change! I raced back to the car and was parked and running to her hospital room to make sure I arrived on time! Thankfully, she wasn't quite as progressed as we thought and I arrived in plenty of time. 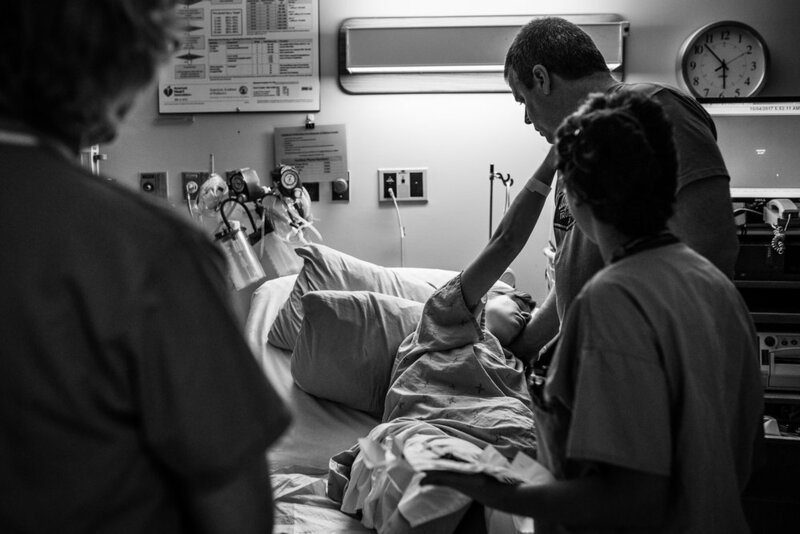 I walked into the delivery room to find Andrea mid contraction, with the midwife calmly checking the baby and TJ sitting bedside in quiet support. She was the epitome of strength and calm as she breathed through each intense contraction and readied herself to bring the new babe into the world. It was truly beautiful. Her midwives and TJ were watchful and supportive and I could tell by her sounds that she was progressing quickly and we would soon be meeting her babe! 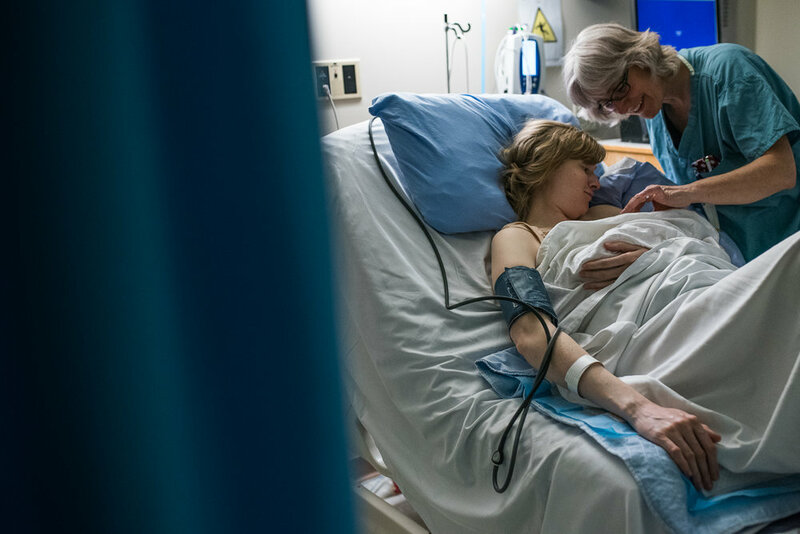 After getting up into a seated position after a check by the midwife, things suddenly changed and intensified and she felt the urge to push and listened to her body. 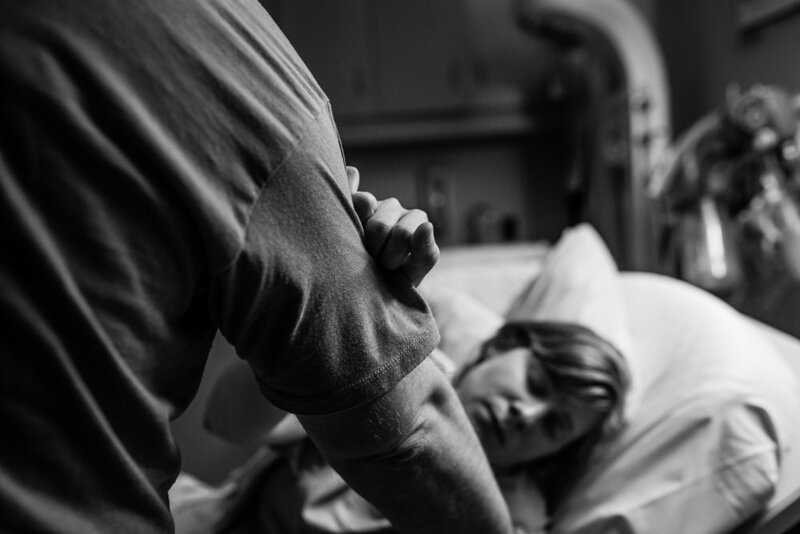 Unable to get back to laying down, her midwife supported her need to stay where she was and offered her encouragement when she was ready she beared down and surrender to the pressure. 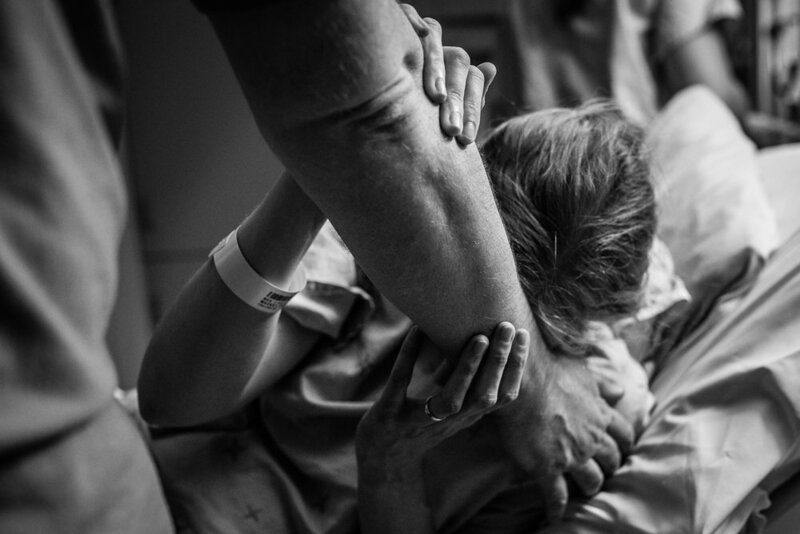 Grasping on tightly to TJ, who held her and supported her calmly in his arms, Andrea brought her daughter earthside. 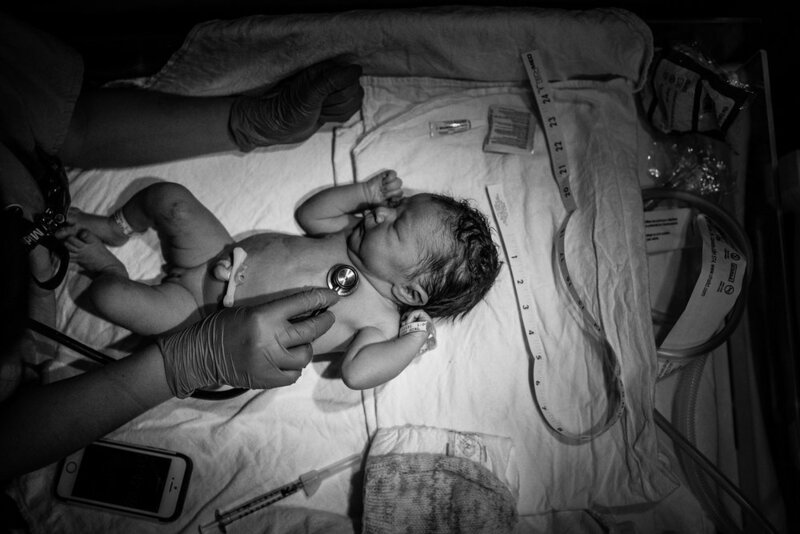 The midwife gently caught the babe and placed sweet Edith Victoria on her mama’s chest. The emotion was thick in the room and there were many tears from all. While holding her new baby girl gently in her arms, the euphoria swept over Andrea's face as she relished in the feeling of her daughter's weight on her chest. As TJ gazed down proudly at his wife and kissed his new baby girl gently on the head, Andrea reached out to me and held on my hand tightly. It was an overwhelmingly beautiful moment. 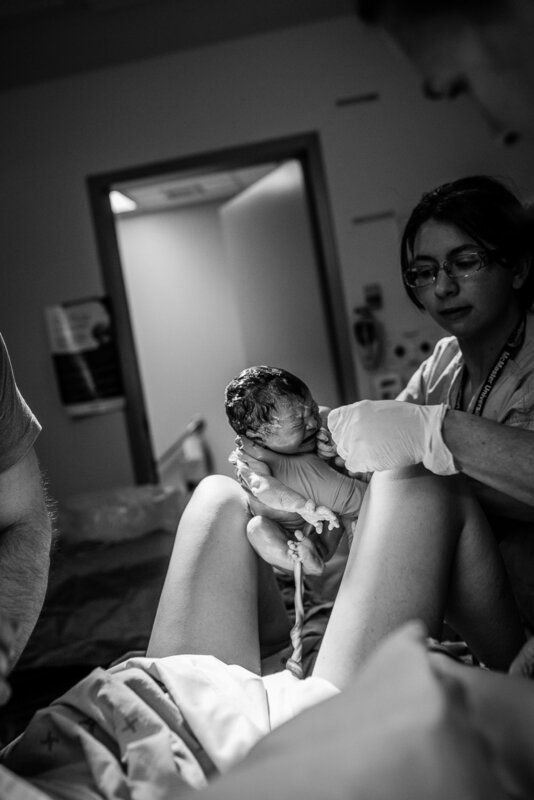 This birth was unpredictable, gentle, intense, fast and yet at the same time so peaceful. An amazingly strong mother, supportive father and beautifully perfect wee babe. Its an experience I was so grateful to be a part of and one that I will never ever forget. Sweet Edith, you my dear are lovely in every way and loved deeper than you will ever know.